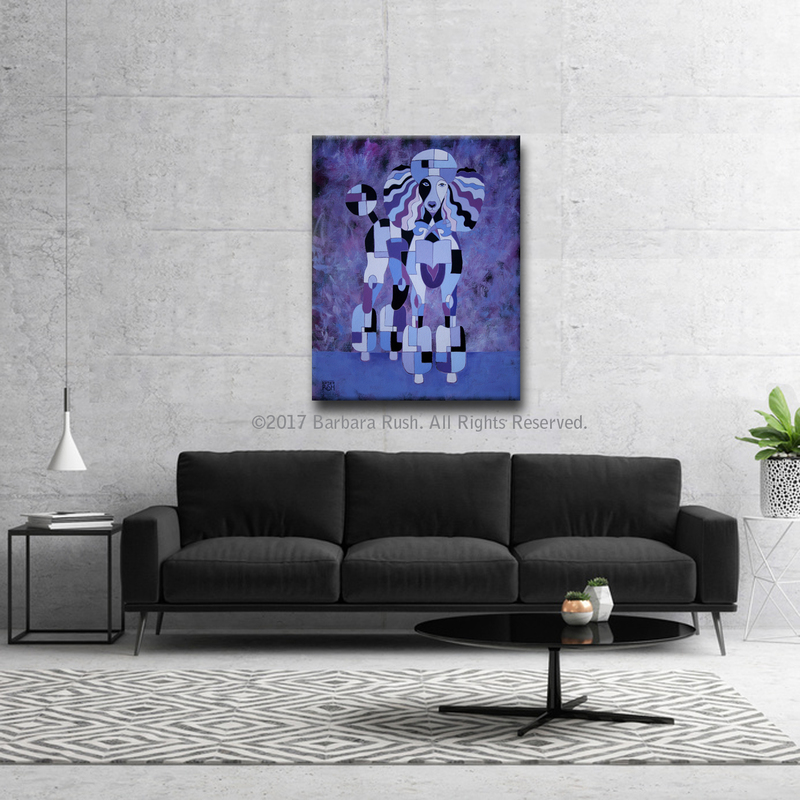 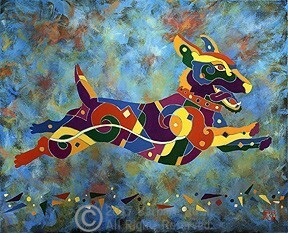 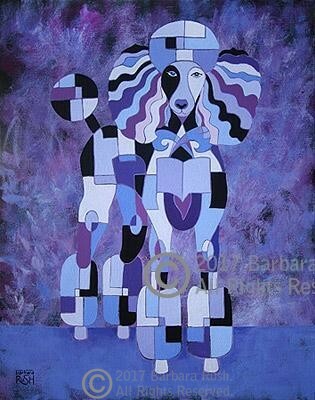 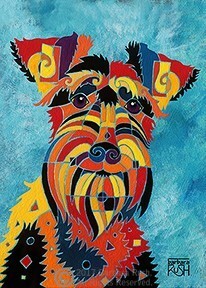 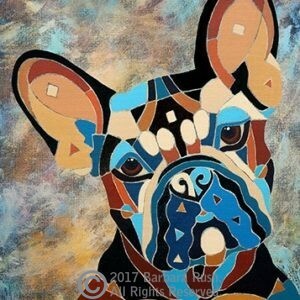 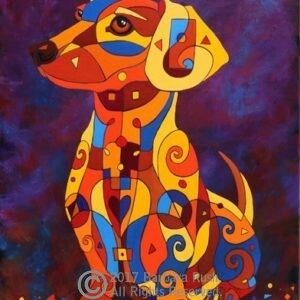 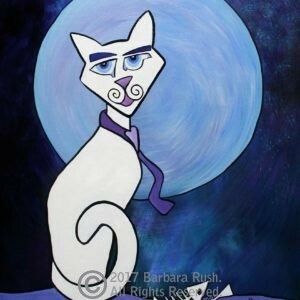 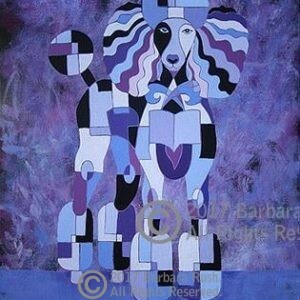 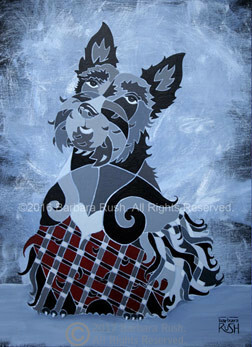 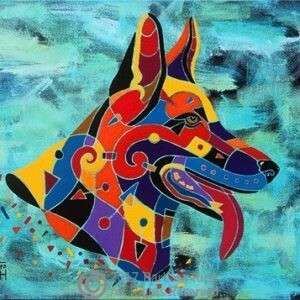 Stunning shades of purple, white, blue and black fit together to form this beautiful poodle painting. 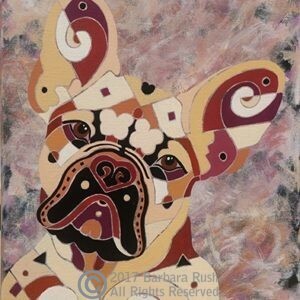 Inspired by cubism, Rush deconstructs and reconstructs her subjects with a sense of joy. 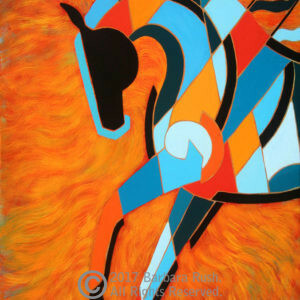 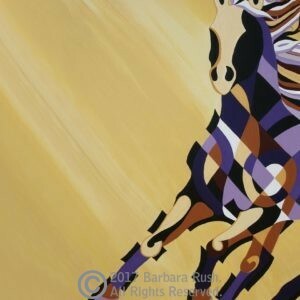 Her delight in the geometry of lines, shapes and colors uplifts the viewer as abstract shapes converge to reveal a delightfully recognizable form.